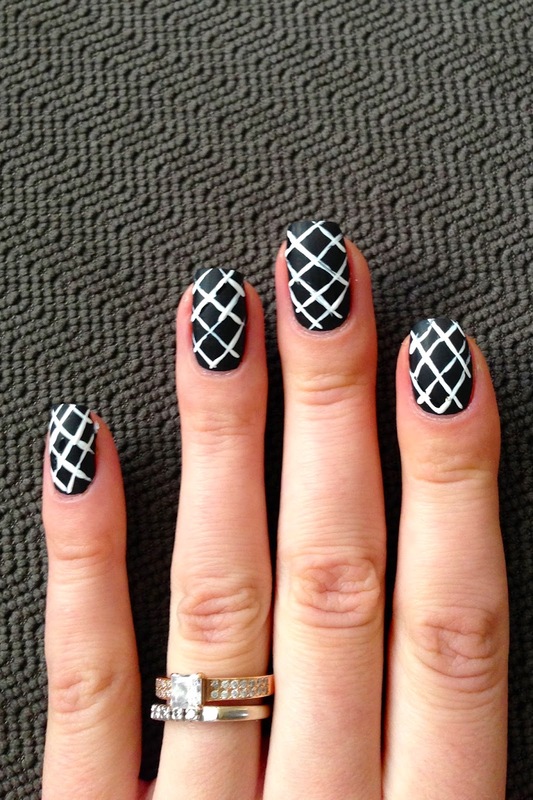 Today I'm very exited to share with you a new nail technique I recently learned. This is my first time doing it, so don't judge me if you are a professional. So, as you can see from the photo below I did a one stroke flower using acrylic paint. I heard about using acrylic paint for nail designs a while ago and saw a lot of videos but was scared to try it myself. If you are like me don't be, it's super easy to work with. So lets begin. 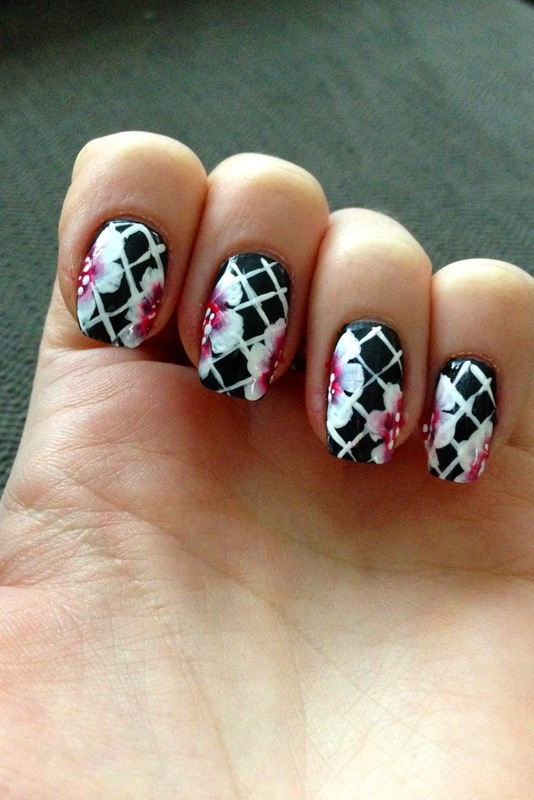 For this nail design I purchased three acrylic paint from Jo-ann's fabric and craft store. 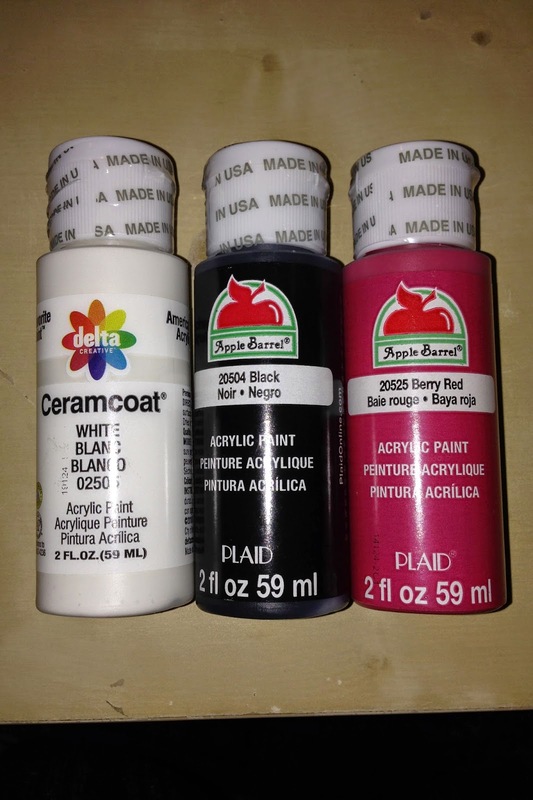 (You can also buy them from amazon: Black acrylic paint - but it's more expensive). 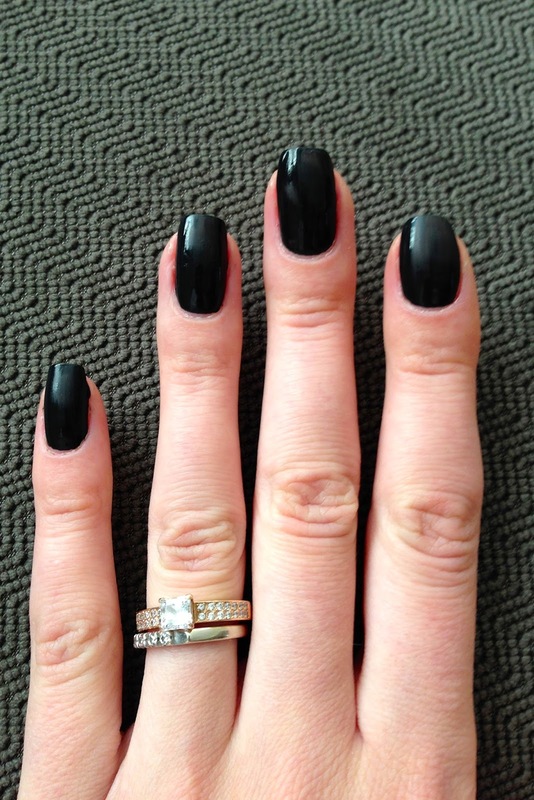 Start with a base coat you usually use, then apply black acrylic paint (I did two coats). The perks of using acrylic paint is that if you painted your finger you don't have to worry, it's easy to wash of with water. Take a thin brush and paint four stripes with white acrylic paint. Then another four lines in different direction. Now little more complicated part: dip half of your bush in white color and another half in red. For a brush I purchased #4 Loew-Cornell Soft Comfort Shader - not sure if it's the perfect brush, but certainly worked for me. Put the brush on a paper first to get rid of excess paint. Another recommendation is to try paint the petals on a paper first, to get more comfortable. When you done practicing, paint it on a nail. As you see below I did a three petals flower on one side of the nail and then repeat the process on the other side. 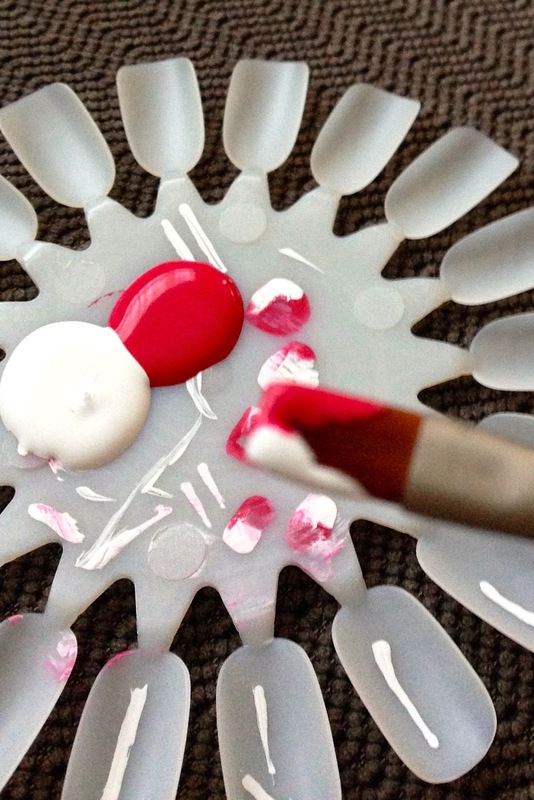 Using a dotting tool put a few white dots on a red center of the flower. The most important part is to seal your design with a top coat, otherwise it will wash of with water. You can use any top coat you like. 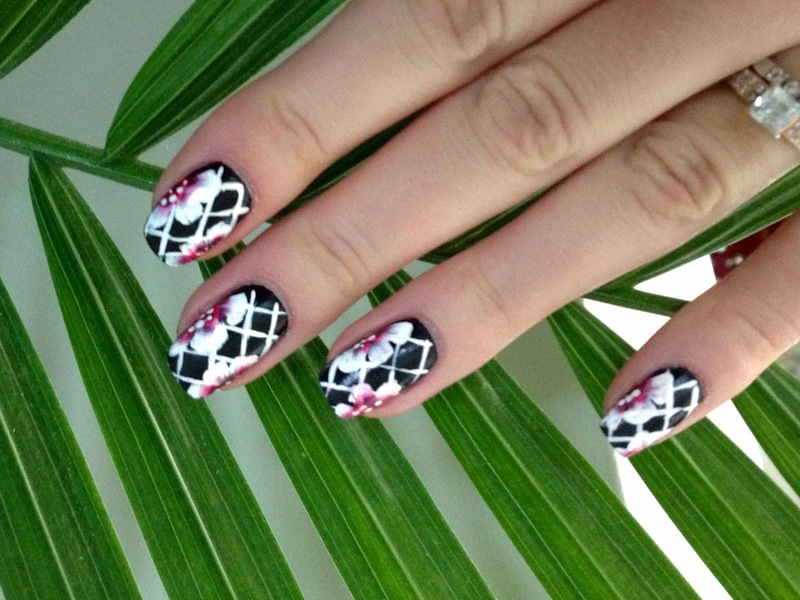 I hope this post was informative and you will try this nail design. 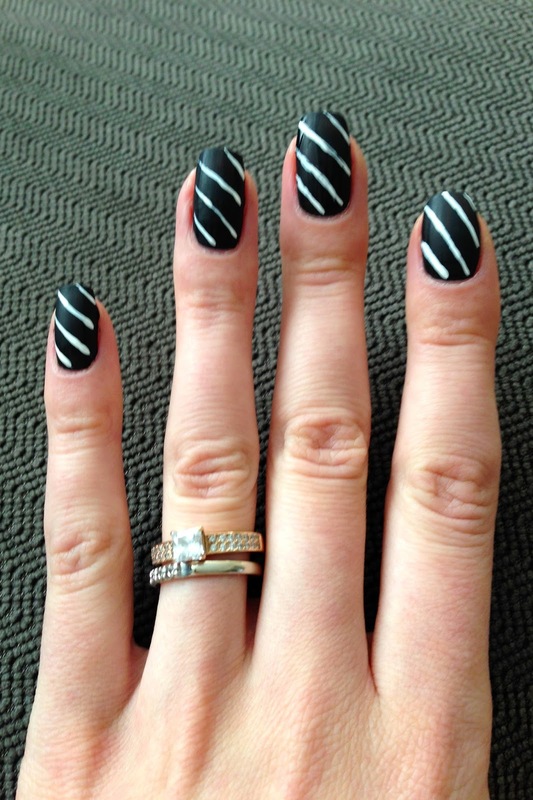 I liked it a lot and I'm sure to create a new nail designs using acrylic paint.